Sigelei is here to rock your world with another SnowWolf Mini mod. Sigelei SnowWolf Mfeng Mini 100w Kit has a high class design, and a single battery layout. This vape fits perfectly in your hand and can fire up to 100W. The SnowWolf Mfeng Mini 100w kit supports bypass modes as well. This kit also comes with a sub-ohm tank that holds up to 5ml of vape juice and has a dual air flow system that provides the best flavor and amazing clouds. This vape has a lot of power behind it for being a 100w box mod and you won’t regret trying yet another Sigelei product. Sigelei SnowWolf Mfeng Mini 100w has a 3D logo on the zinc alloy framework that despite it’s luxurious look, is surprisingly durable and a unmistakable snakeskin pattern on the front and back panels. The SnowWold Mfeng Mini also has three different power modes; soft, normal, and hard. With these different modes you’ll always be able to find just the right setting to get the perfect vaping experience from. The full color display just adds to how luxurious this vape looks and feels. To top this vape off, the preheat function will have your coils always ready for you puff no matter how long it has been since your last one. Segelei SnowWold Mfeng Mini 100w kit is here and taking names with it’s beautiful design and how much power it packs. 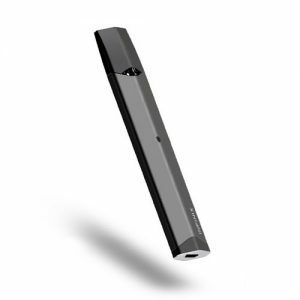 Small enough to fit right into your pocket you will be able to take this vape virtually anywhere with you.